The legacy of Norifumi ‘Norick’ Abe lives on in a number of specials built around the world. Here’s one from Down Under. Aussie Mick Costin, owner of Costin Motorcycle Engineering, is a two-stroke maniac. In fact, I’d go as far as to call him the mad professor of two-strokes Down Under, writes Jeff Ware. Thankfully for die-hard GP fans like me, he specialises in replicating the glory days of the mighty, raw, untamed and awe-inspiring 500cc two-strokes. 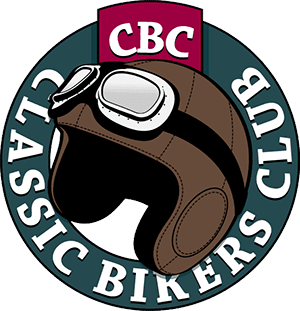 He is currently contracted to build the replicas for the World GP Bike Legends series. 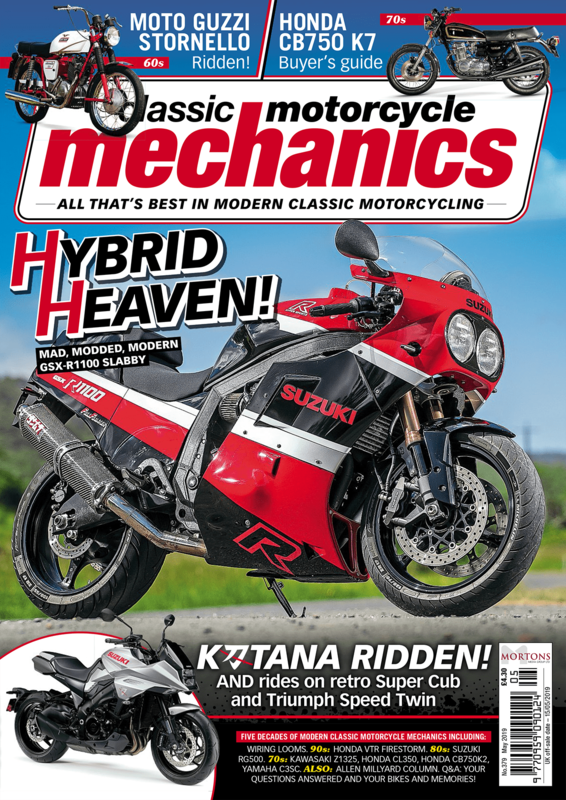 In his humble workshop in western Sydney, Mick makes these dream bikes for lucky cashed-up customers from all over the world. This beauty was shipped off to Japan just a few days after we got the opportunity to photograph and ride it at The Farm. 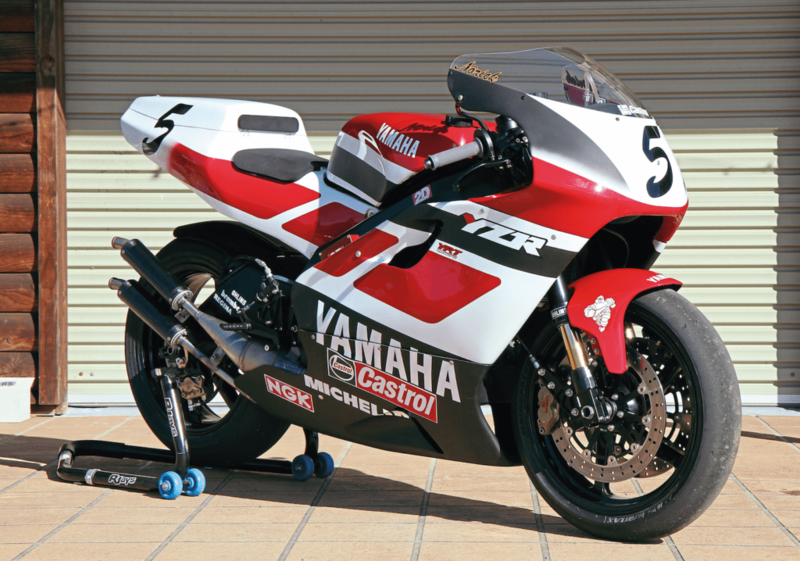 Mick had also just finished a Mick Doohan replica NSR500 and a Wayne Rainey replica YZR500. Time to talk about the build, so let’s look at the engine first. It started life as a standard RD (RZ down here) 500LC V4 engine. The engine was completely stripped and re-built. The crankshafts were replaced by an RZ Performance item with new bearings installed in the standard cases throughout. RZ Performance con-rods hold Mitaka pistons and rings. The cylinders were ported by Mick and the heads re-shaped to GP spec. The standard gearbox was re-built and Mick converted the clutch to a dry set up using a TZ350-based clutch hub, basket, pressure plate and clutch plates. A new longer custom gearbox input shaft was fitted and the original RD500 outer cover modified and fitted. The 28mm Mikuni flat-slides have CME wire covers and the oil pump is removed so 35:1 Castrol A747 is used. 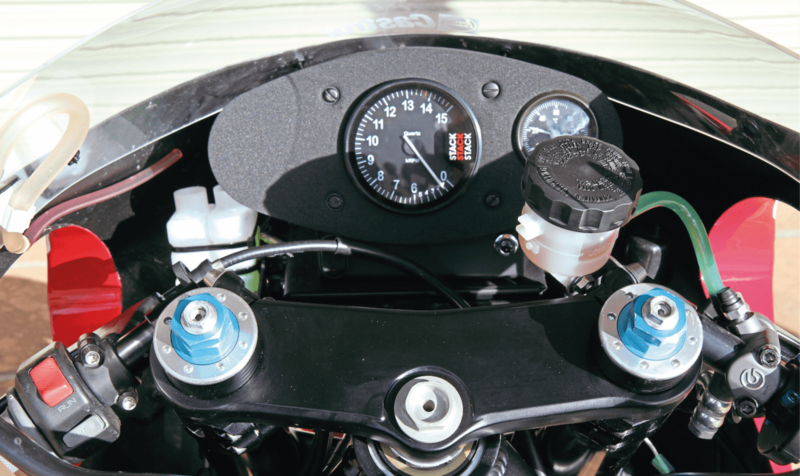 A CMA GP plug-in race ignition system is fitted with a programmable ignition curve and powervalve controller. All electrical components are located at the front of the bike for easy access. 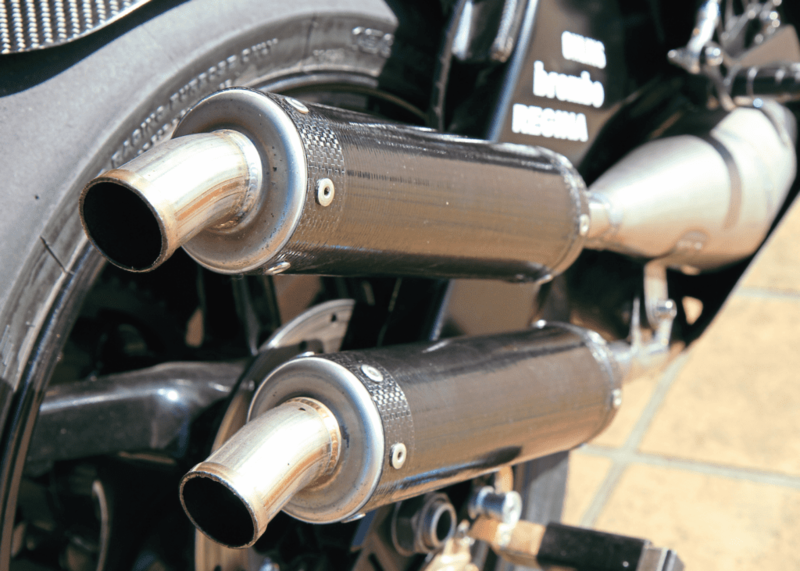 The sharp end of any stroker are the expansion chambers and these are CME titanium handmade pipes, along with genuine Yamaha YZR500 mufflers/end-cans. Keeping things cool is a custom CME radiator, with a standard RD500 water pump and TZ Yamaha tanks.